Should I Have Eyelid Surgery In An Office Setting Or At A Surgery Center? Deciding to have your eyelid procedure performed in an office setting or under sedation at a surgery center can be very challenging for someone just starting to think about the process. The decision to perform procedures in the office using local anesthesia versus a surgery center has two important considerations: cost and risk. 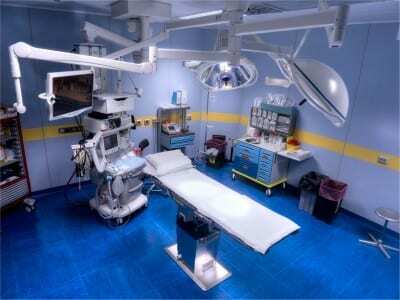 Is there a difference in Cost between procedures done in the office compared to surgery centers? An upper and lower eyelid lift completed in a surgery center costs more because of the facility and anesthesia fees. For a 3 hour surgery facility and anesthesia fees can be as high as $3,000. The fees are initially paid to the surgeon but are ultimately transferred to the surgery center and anesthesiologists. For a $5,000 surgery, $2,000 would go to the surgeon and $3,000 would go to house, so to speak. An upper and lower eyelid lift completed in the office or office based procedure room is significantly cheaper because there are no facility or anesthesia fees. Some surgeons do charge a “facility fee” but keep that portion of the payment because it is their facility. For a $5,000 surgery, the surgeon would collect all of the monies paid. So why not do every surgery in the office? The second part of the decision is based on risk. Every surgeon has a different perspective on risk, when it is and when it is not appropriate to increase the risk. Is there a difference in Risk between procedures done in the office compared to surgery centers? We routinely perform both upper and lower blepharoplasties in the office. If the only thing being addressed is excess skin there is no difference in risk if the procedure is completed in the office or surgery center. Conversely, when there is excess fat being addressed I believe it safer to remove under anesthesia in a surgery center. Fat surrounds they eye and if it starts bleeding it can retract behind the eye. If a patient is asleep it is very easy to push the eye to the side, find the bleeding and stop it. If a patient is awake, it is very discomforting to move the eye to the side to look for the bleeding. How often does the fat start bleeding behind the eye? Fortunately this is very rare. Many surgeons feel that because this is such a rare event that excess fat can also be addressed in the office procedure room. I personally believe that despite bleeding behind the eye being a rare event the risk is not worth taking in an office based setting. Even though performing the procedure in a surgery center means that I would collect less ($2,000 versus $5,000, for example), I believe it safer for the patient. I am very conservative and I do not like to take risks in the office. Every surgeon has a different perspective and a different assessment of risks. Not everyone feels the same way that I do but that is why it is important to meet several surgeons during the discovery process. If you have questions about cosmetic eyelid surgery or blepharoplasty in San Diego, please contact Dr. Kolstad at his La Jolla Facial Plastic Surgery office. Give us a call at 858.859.2563 to schedule your appointment today. We are conveniently located in La Jolla between the I5 and I805 freeways. We are dedicated to plastic surgery of the face and neck and enjoy serving men and women in La Jolla, Del Mar, San Diego, Rancho Santa Fe, Solana Beach, Encinitas and Southern California.